Is every case of a flickering light going to wind up being something very serious? No. Is every case of a flickering light potentially serious and deserving of prompt attention? Absolutely, yes. Today, we are going to give you some tips about why your lights may be flickering, what you may be able to do in order to resolve the problem, and when you should contact our professional electricians in Ludlow, VT. The last thing that you want is to avoid this “minor” problem, only to discover the hard way that it was a lot more serious than you thought. Okay, a flickering light is not exactly an electrical problem that will throw you right into a panic. Still, you want to resolve the annoying and inconvenient problem promptly, right? So what do you do? Schedule professional electrical services right off the bat? First, we actually suggest that you check the bulb. If your light bulb is not screwed into the light fixture securely, that alone could be enough to produce the flickering that is driving you nuts. So screw it in a bit tighter, if it feels loose, but be careful not to overtighten it. You don’t want to make an aggravating situation even worse by winding up in the ER for stitches. If that doesn’t seem to be the problem, then try swapping out the bulb next. It could just be a bad one. You could also try putting that bulb into a different fixture that is functioning fine with its current bulb. If you rule out the bulb as the culprit, then it is time to call the pros. Light fixtures are not really going to need any maintenance over the years, but that doesn’t mean that they can’t run into problems eventually. 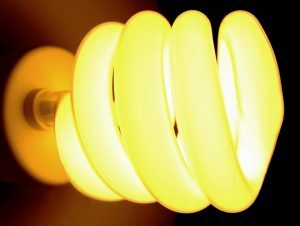 The area of contact between the bulb and the fixture could be very dirty, or even corroded. Having it cleaned up could resolve the problem, or you may need a new fixture. If the issue lies with the wiring, then you’re getting into really problematic territory. The last thing that you want is compromised wiring in your walls. It could also be that your light switch on the wall is not making good contact, or that its wiring is faulty. If you want to eliminate the danger of electrical arcs and potential fires, you’ll call us to schedule service right away.